Our Board of Directors is composed of prominent members of the Prairie research community. ?Board members have a diverse range of experience and expertise that spans across science and business. ? Click the names below to view full profiles. ?? Dr. Gerald L. Brown, Ph.D.
Dr. Brown was originally trained in biochemistry and cell and molecular biology, and spent over 30 years in various corporate settings providing him with a broad background in agricultural biology, agronomy, intellectual property protection, and the development and commercialization of new and innovative products. During his career he has worked with the Plant Cell & Molecular Group, and the Microbial Inoculants Division of Allelix Crop Technologies, the Ag Biologicals Team within the Esso/Exxon environment and Agrium Biologicals, and was the Principal Research Scientist, and Innovation and Intellectual Property Manager – New Products for Agrium Inc. Gerry joined the Saskatchewan Research Council as the Director of SRC’s Business Development Branch with responsibilities ranging from marketing and communications, to new product development, technology mentoring, investment, licensing and commercialization. He was subsequently Vice-President of SRC’s Agriculture & Biotechnology Division. Most recently, Gerry was the Director of Marketing and Commercialization with the Pan-Provincial Vaccine Enterprise, a national Centre of Excellence for Commercialization and Research focused on the mid-stage development and commercialization of vaccines for infectious diseases. Gerry has served on a number for non-profit boards including Genome Prairie and AgWest Bio. Daphne Arnason is a Fellow Chartered Professional Accountant (FCPA, FCA) . Daphne attended the University of Saskatchewan, where she obtained a Bachelor of Commerce Degree in 1977. From 1977 - 1988, Daphne worked for the accounting firm, Deloitte, (and predecessor accounting firms) where she practised in the areas of audit, small business, and taxation. From 1988 until her retirement in 2014, Daphne served in various senior management and executive roles at PotashCorp, a publicly traded global integrated fertilizer company. She was actively involved in the privatization of that company, as well as in a number of corporate acquisitions and related restructuring. Her areas of corporate expertise included taxation, audit, global risk management and corporate governance. Daphne has served as a Director on the Boards of a number of organizations, and has chaired and served as members of various board committees. She is presently a member of the Board of Governors of the University of Saskatchewan, where she is a member of the Audit Committee, and is Chair of the Land and Facilities Committee. As well she is a member of the Board of Directors for the Saskatoon and Area United Way, where she is a member of the Governance Committee and is chair of the Finance Committee and Treasurer. Dr. Mitchell Abrahamsen currently serves as the Chief Commercial and Scientific Officer for Recombinetics where he lead the company's commercialization efforts to deliver gene-edited products to the animal agriculture and biomedical industries. Dr. Abrahamsen has an extensive background in research and development, project design, management and implementation of state-of-the-art innovation programs within the animal health and production industry. Much of his experience in academic, governmental and biotechnology environments has involved developing integrated, cross-functional research programs that utilize large-scale, high-throughput genomic and genetic technologies to develop new products and tools for improving human and animal health. Dr. Abrahamsen earned his BSc degree in biochemistry at the University of Minnesota and his PhD degree in biochemistry at the University of Washington, Seattle. He has held faculty positions at Montana State University and in the College of Veterinary Medicine at the University of Minnesota where he was a recognized international authority on animal genomics, animal health and molecular basis of host/pathogen interactions. He has served on advisory boards for numerous private and government funding agencies including the National Institutes of Health, the United States Department of Agriculture and Genome Prairie. 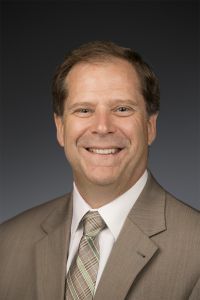 Mitch previously was Senior Vice President, Research and Development for Cobb-Vantress Inc. where he lead the company’s research and development effort and strategic programs for bringing innovation and new technologies to the poultry industry. Prior to Cobb-Vantress, he worked with Hills Pet Nutrition as Vice President Research and as Chief Scientific Officer/Vice President - Research and Development for Pyxis Genomics. In these roles he was responsible for developing corporate research strategies that supported global business goals and managed research programs dedicated to driving business growth through new technology development and scientific evidence that demonstrated performance and product claims. 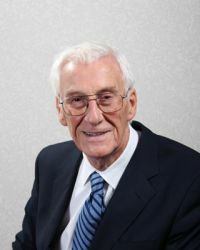 Trained as a chemical engineer John Cross joined the Food Research and Development Department of John Labatt Ltd. in London, Ontario in 1965. His work centered on the development and commercialization of new products in the fermentation, food, beverage, dairy and animal feed industries. From 1975-1980 he served as founding Executive Director of POS Pilot Plant Corporation in Saskatoon. In 1980 Mr. Cross was a founding partner and later President, CEO, and Chairman of Saskatoon-based Philom Bios Inc. This company develops, manufactures, and markets high value inoculants which increase farmers’ profits by enhancing the fertility efficiency of crops in an environmentally benign way. Products include the world’s first commercial phosphate inoculant and the world’s first combination phosphate and nitrogen inoculant for pulse crops. The leading inoculant supplier to Western Canadian farmers, market expansion is well underway into the US Great Plains, the US MidWest, South America, and Australia. Philom Bios was acquired by Novozymes S/A, a Denmark based bio-innovation multinational in December 2007. 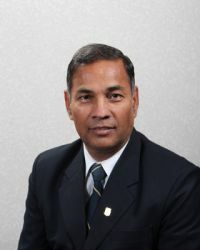 Dr. Digvir S. Jayas is Vice-President (Research), Distinguished Professor, and Canada Research Chair in Stored-Grain Ecosystems at the University of Manitoba. Prior to assuming this position, he was Associate Vice-President (Research), Associate Dean (Research) in the Faculty of Agricultural and Food Sciences and Department Head of Biosystems Engineering. He has also served as the Interim Director for the Richardson Centre for Functional Foods and Nutraceuticals at theUniversityofManitoba. He is a Registered Professional Engineer and a Registered Professional Agrologist. He has taught courses in the areas of food engineering, finite element method, and instrumentation and controls. He conducts research in the areas of physical properties of agricultural products; modified atmosphere storage of grains, oilseeds, potatoes, and meats; mathematical modelling of biological systems; and digital image processing for grading and processing operations in the Agri-Food industry. His research is funded by the Natural Sciences and Engineering Research Council of Canada (NSERC) through Operating and Strategic Grants and by the Agri-food industry through Operating Grants and Contracts and covers a broad spectrum between basic and applied research. He has authored or co-authored over 650 technical articles in refereed scientific journals, conference proceedings, and books. He is co-editor of two books entitled “Stored-Grain Ecosystems” and “Insect Pests of Stored Products: A Global Scenario” and co-author of a book entitled “Grain Drying: Theory and Practice.” He has received professional awards from the Canadian Society of Bioengineering (CSBE), the Canadian Institute of Food Science and Technology (CIFST), the American Society of Agricultural and Biological Engineers (ASABE), the Association of Professional Engineers and Geoscientists of Manitoba (APEGM), the Agricultural Institute of Canada (AIC), Manitoba Institute of Agrologists (MIA), Engineers Canada (formerly Canadian Council of Professional Engineers (CCPE)), and the Canadian Academy of Engineering (CAE). Dr. Digvir S. Jayas has served as a member and chaired the Strategic Grant Selection Panel and Research Network Selection Committee of NSERC, has served on the Executive of the Genome Prairie and TRLabs, has served as President of the Canadian Engineering Qualifications Board of the CCPE, CIFST, CSBE and APEGM. Dr. Jayas serves on the committees and boards of many organizations including: Manitoba Chamber of Commerce, Composite Innovation Centre, Agriculture Institute ofCanada(AIC), Manitoba Institute of Agrologists (MIA), Manitoba Health Research Council, St. Boniface General Hospital Research Enterprise Committee, University Advisory Group of IndustryCanada, and the International Centre for Infectious Diseases (ICID). He is also chair of the board of directors of RESOLVE, a prairie research network on family violence, and of the advisory board of the Richardson Centre for Functional Foods and Nutraceuticals, a research centre dedicated to the discussion, discovery, and development of functional foods. Digvir S. Jayas was educated at the G.B. Pant University of Agriculture and Technology, Pantnagar,India; University of Manitoba,Canada; and the University of Saskatchewan,Canada. Curtis joined the Canola Council of Canada in July 2012. Curtis is responsible for (i) directing the Crop Production Team Agronomists with a mandate to optimize profitability for producers and the supply chains they serve while minimizing production risk, (ii) developing research priorities for canola production, oil and meal utilization, (iii) developing sustainability and production stewardship guidelines, (iv) liaising between producers, industry and academia to optimize extension activity as it pertains to canola production and innovation, (v) manage the coordination of the trials and budget for the Western Canada Canola/Rapeseed Recommending Committee (WCCRRC) and the Canola Performance Trials, (vi) monitor and manage issues related to domestic and global biotechnology acceptance and regulation, (vii) manage the CP&I budgets ($2 million) and direct GF2, ARDI, MITACS and CARP research activities and budgets ($20 million), (viii) represent Canadian canola’s best interests with industry and professional groups and numerous other activities. Curtis was raised on a farm specializing in dairy and special crops in southeastern Manitoba and is still involved with commercial farm production. Education includes a B.Sc. and M.Sc. from the University of Manitoba, PhD obtained at the University of Guelph, and an MBA from Athabasca University / University of Guelph. 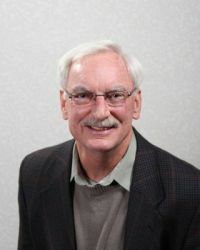 Prior to joining the Canola Council of Canada, Dr. Rempel has worked as a research scientist for Agriculture and Agrifood Canada, has taught at numerous Universities and community colleges in Canada, and has operated his own consulting company for 10 years, primarily providing business and marketing strategy and scientific counsel to Fortune 500 companies. In the corporate sector, Dr. Rempel worked for 8 years in R&D, corporate finance and business strategy and development at Monsanto Corp, as a senior consultant for Meyers, Norris, Penny focusing on commodity marketing, renewable energy, intellectual property protection, enterprise software applications, and scientific competitiveness and most recently as the Business Development Manager at the Richardson Centre for Functional Foods & Nutraceuticals, Dept of Food Science, University of Manitoba. Dr. Rempel is also an adjunct faculty member in Dept. of Food Science and his current research interests include (1) “green” extraction technology; 2) extraction and characterization of bioactive molecules from oilseed crops and medicinal plants of the tall grass prairie and boreal forest; 3) development of functional foods, biopharmaceuticals, drug delivery platforms, and bioindustrial products from co-streams of crop processing. Dr. Jenisa Naidoo is a successful healthcare executive, physician and medical educator with more than 30 years of experience in the health care environment including 15 years of medical director experience. She has demonstrated a strong performance in shaping healthcare policy, providing health care solutions and teaching with an excellent track record of obtaining results through strong interpersonal skills, business acumen, clinical knowledge and team building. In capacity as a Lab Director, she designed and led the project to build a world class laboratory facility in Winnipeg, successfully merged 3 laboratory organizations and cultures, project lead in the introduction and implementation of a leading edge technology, liquid-based cytology in Manitoba. She is also Black Belt Certified in Lean, six Sigma. As Medical Educator, she helped shape the MD undergraduate program and received overall teaching awards in the MD program. Dr. Naidoo serves as medical advisor/provincial representative in Manitoba where she is able to influence and shape patient safety, regulatory requirements and policy in healthcare (laboratories and DI), provide medical expertise (laboratory physician) in various provincial projects and initiatives provincially with positive outcome for providers and patients. In her spare time she enjoys travelling the world, appreciating cultural and political diversity and active in anti-apartheid movement in South Africa. David Migadel recently retired from the Federal Public Service as a senior executive after 35 years of service. Throughout his career Mr. Migadel has led program delivery and policy development in multiple roles and departments, including with Innovation, Science and Economic Development Canada, Public Works and Government Services Canada, and the Canada Firearms Centre. Born and raised in Edmonton, Alberta, his responsibilities have included serving Canadians in the West and Northern Canada, ensuring their needs and regional circumstances were reflected in policy development and in tailored delivery of programs and services. Mr. Migadel has extensive experience in making strong connections with diverse stakeholder groups and in building consensus and partnerships to achieve common goals. He has worked with Chambers of Commerce, business leaders, NGOs, academia, Indigenous organizations, user groups and provincial Chiefs of Police Associations just to name a few. He has supported the United Way and Health Partners in campaigning within the Alberta Capital region and is a regular volunteer with Habitat for Humanity. Mr. Migadel is a certified Professional Director, a graduate from the Government of Canada Executive Development Program and holds an Honours Diploma in Telecommunications Engineering Technology from the Northern Alberta Institute of Technology. Born, raised and educated in Saskatchewan, Jerome Konecsni is currently an Executive-in-Residence at the Johnson Shoyama Graduate School of Public Policy at the University of Saskatchewan. He is CEO of the start-up biotech company ABAzyne Bioscience. The company develops novel synthetic molecules that act as play growth regulators enabling producers to respond to today's climatic variations and extremes. During Jerome's five-year tenure as CEO of Innovation Saskatchewan, he developed key partnerships between the province, industry and academia in sectors such as agriculture, mining and nuclear innovation. During his career, he has also been CEO of Genome Prairie and BioSmart Technologies, and VP of Corporate Development for Bioriginal Food & Science Corp. Jerome is an active community leader has served on many boards and committees. 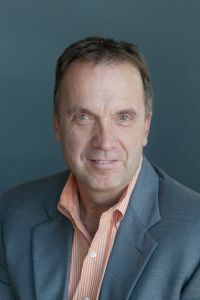 He was a founding director of both the Sylvia Fedoruk Canadian Centre for Nuclear Innovation and the International Minerals Innovation Institute, and has served on the boards of the Canadian Light Source, the Vaccine and Infectious Disease Organization, and the Agricultural Bioscience International Conference. In 2011, Jerome was awarded an Honorary Doctorate from Karunya University in India. Tiffany Lepage is currently Senior Analyst, Financial Strategy and Planning at the University of Saskatchewan in Saskatoon. She completed her Bachelor of Commerce and Master of Professional Accounting at the University of Saskatchewan’s Edwards School of Business. Tiffany is a designated Certified Public Accountant (CPA) and a Chartered Accountant (CA), with experience working in assurance at KPMG. As well as her financial acumen and leadership, Tiffany brings her experience in a research environment to the Genome Prairie Board. She was previously the Finance Officer for the Global Institute for Water Security; the institute addresses water issues worldwide with a focus on Western Canada. In her current financial strategy and planning role, she has been involved in institutional-level change management and restructuring projects. Tiffany previously sat on the Board of Directors and Audit & Finance Committee of the Saskatchewan Craft Council for two years.